Having used the NEX-F3 with a canon 35-135mm USM lens the whole time I've had it so far I'd pretty much gotten used to using it in manual mode. Overall the picture quality was excellent however the auto peaking indicator to assist with focus wouldn't always necessarily give you the optimum point of image sharpness at specific visual field depths, meaning that I had to use regular visual cues too beyond what the peaking level indicator was saying as there were points at which picture sharpness was actually achieved but wasn't indicated by the peaking level meter when using a none smart Sony lens with it. Currently, using the canon lens with the NEX f3 and no smart adapter was truly a manual experience for the main part, but for me it was well worth it as far as the potential achievable picture quality was concerned. 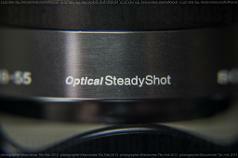 This also applied to the Pentacon lens that I later acquired too. Fortunately though I'd managed to finally acquire an actual 18-55mm NEX Sony E-mount Lens (SEL) specifically for the NEX range of cameras. 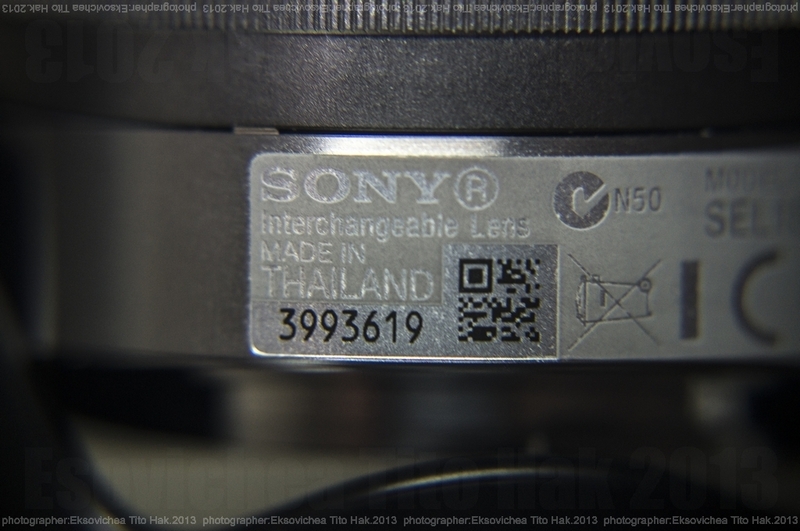 Obviously using an actual NEX smart lens with the NEX body unlocks a whole bunch of features that you just don't get with using none Sony NEX smart lenses. This was fast and nearly always pin sharp accurate, especially because I've only been using manual focus of late with none sony lenses in combo with the NEX camera body, however its not as fast as a full blown canon D-SLR in combo with a canon SLR lens. 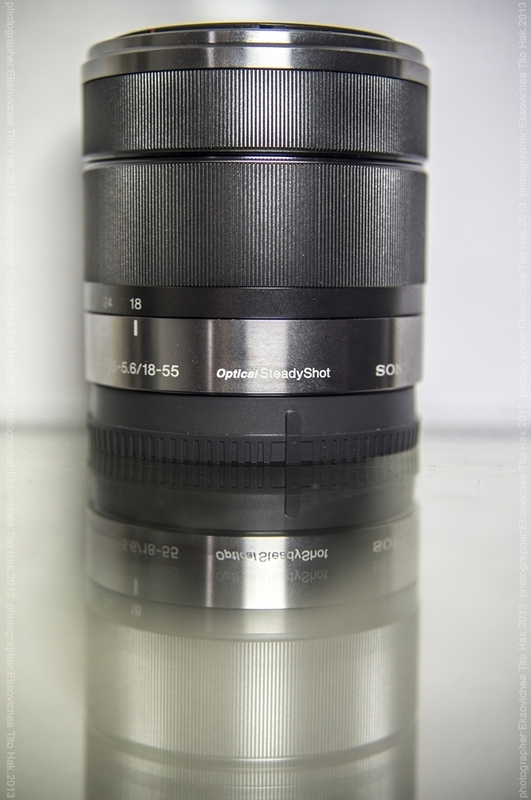 Although the SEL 18-55mm is generally included as a standard kit lens it does in fact include a smart O.S.S (optical steady shot) aka I.S. (image stabalisation) features with it. 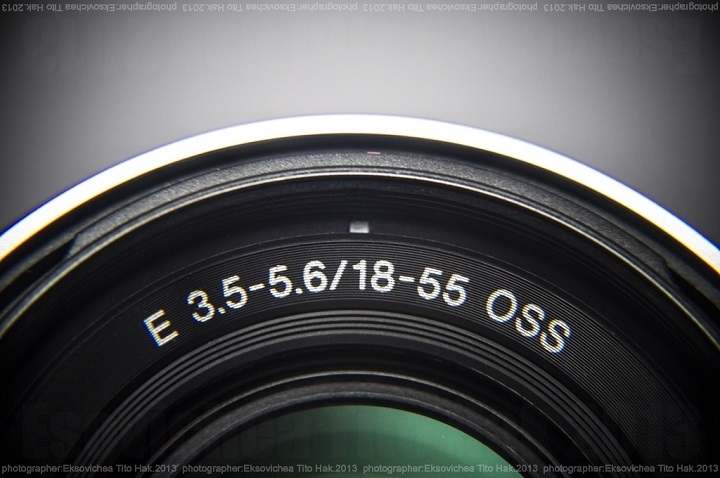 The external appearance of the lens oozes premium quality as well as its overall construction. Thanks to the use of aluminium its extremely light but doesn't feel cheap or flimsy when generally using it. It certainly could take some punishment, however its something that you wouldn't even want to test and would most probably want to avoid for sure in order to retain and maintain its slick industrial eye candy appearance. Whilst in its default none zoom state picture quality for the main part was excellent in being sharp and crisps. There wasn't much that a none computer would pick up in terms of the overall images produced at 16.1 megapixels despite the use of some dithering and smoothing in certain modes when shooting in JPG only. With it being a smart lens that was specifically designed to be use with the NEX camera range the auto focus feature was incredibly fast and highly accurate at picking out the optimum focal depth within the arbitrary distance scope of the lenses capability in order to achieve maximum sharpness which as stated before was excellent for the most part. If you feel that you still don't trust the highly accurate auto focus feature you can still use manual focus using the smart endless focusing ring at the end of the SEL 18-55mm lens. It also has the added convenience of automatically activating the zoom crop review mode without having to press the zoom button when you nudge the focus ring ever so slightly either anti-clock wise (revision - seems to now also work when nudging it clockwise too in later testing where it hadn't previously), after which you can make manual fine adjustments as required by turning it either way in order to find the appropriate level of focal sharpness that you require. Getting back to the standard overall framed view is just a case of lightly (not fully!) pressing the shutter release button, and then pressing it fully to take the actual picture. As far as sharpness was concerned it remained relatively consistent as an overall thing. However lens distortion does become ever so slightly visually noticeable maybe it was only this apparent to me because I'd gotten so used to using the canon slr lenses. The only way I could describe it is like it was giving an ever so slight (and unintentionally undramatic) fish eye effect where it wasn't wanted or the intention. Using the 18-55m smart lens at full zoom for macro shots really does bring out the slight fish eye like curvature distortion even more so. I have to admit that it kind of looked quirky and hipster like whilst at full zoom for macro shots (although nowhere near as an intense an effect as you would get with an actual intended fish eye lens), but generally it was no good for consistent free of distortion macro close ups zoom shots if that's what you need. That's not to say it wasn't capable of producing decent macro shots using this lens. Initially from the numerous reviews I'd read I did think the gripes about the SEL 18-55mm lenses level of distortion was just a ploy to deter people from buying NEX camera's, and would probably most likely be something that was hardly noticeable to regular point and shoot users, and I reckon that will be true for most people moving from or more used to point and shoot usage. 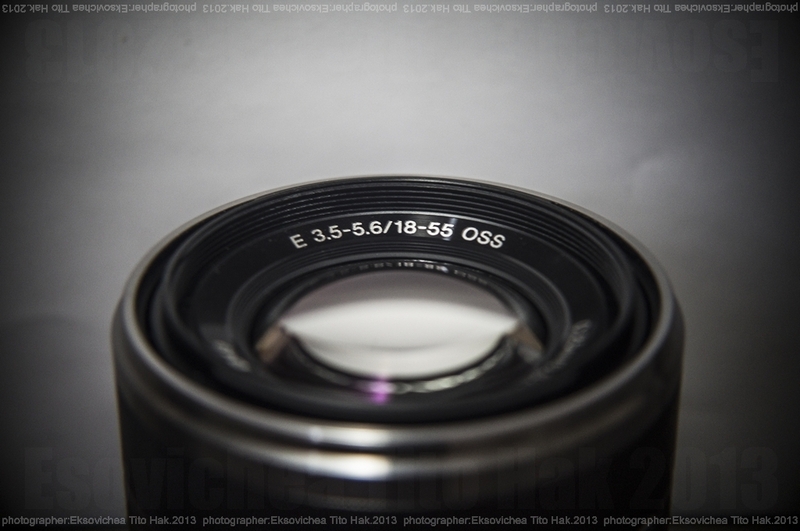 But... to my eyeballs it was very apparent when using the SEL 18-55mm in the a fore mentioned scenarios. By default and purely in terms of the actual physical optic properties of the SEL 18-55 mm kit lens, it actually has far more lens distortion then is actually registered in the final picture taken by the camera prior to any potential post processing correction you might optionally choose to do in Photoshop. However it seems that the NEX camera's are able to negate a large amount of the default physical optic distortion of this lens through the use of a heavy amount of lens correction software that's actually built into the NEX camera body. You can test this by turning off the auto lens distortion feature of the camera, after which you'll notice the curvature at the edges become even more apparent regardless of whether you're shooting with the optic zoom or without. Trying to create extreme wide panoramic pictures with the SEL 18-55mm lens was vastly easier than trying to do it with a none sony smart lens. Stands to reason really, since as mentioned before it was designed to be specifically used with NEX sony camera bodies. That's not to say it wasn't possible to create extreme wide panoramic images with none sony smart lenses, but it was certainly a damn sight faster and easier. The SEL 18-55mm scope makes it ideal as a general lens that allows for convenient macro shots aswell as non macro shots. With the 18-55mm lens the closest physical distance possible was about 10cm which is extremely convenient for not having to screw around with thread lenses in order to physically get in close without need for optical zoom. The close physical distance potentially means significantly clearer free of lens blur macro shots (caused by camera shake) even without image stabalisation or Optical Steady Shot (O.S.S.) as sony call it on their camera's. 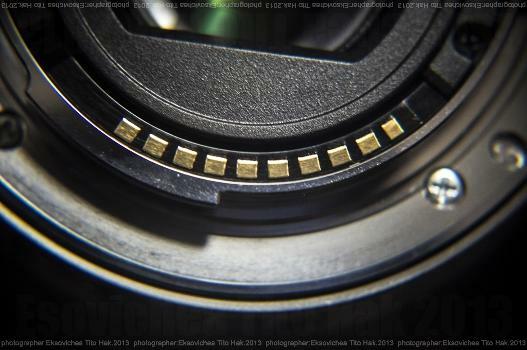 The level of chromatic aberration in macro shots using the sel 18-55m was virtually none existant for the main part. 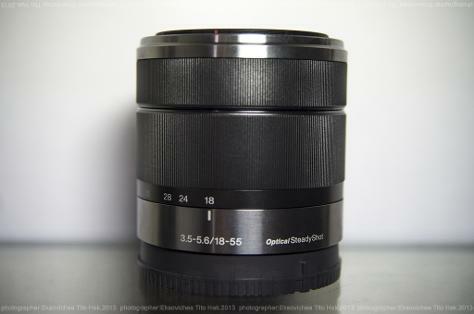 The NEX Sony SEL 18-55mm O.S.S. kit lens is ideal if you want to use your NEX camera in a more "point 'n' shoot" kind of way thanks to its highly accurate auto focus feature that helps to quickly produce very sharp pictures for the main part. The auto-focus feature is actually quite fast and will perform even faster in outdoors daylight conditions. Certain sections tout it as slow because it doesn't feel quite as snappy as some full sized D-SLR's. However the beauty of the NEX range of camera's is the fact that there's always the option to use it in full manual mode too. There isn't any on lens aperture control as this for the main part is also automated, although there is an option to switch it manual aperture mode that allows you to adjust it on the camera body. I personally found the lack of on lens aperture adjustment control on the actual lens a little frustrating to say the least, but maybe I've overlooked some way of possibly assigning it to the endless control ring at the end end of the lens. If you're coming from a full SLR/D-SLR background you will most likely visually notice some slight unwanted image curvature/distortion away from the centre of images at full optical zoom (even more so in macro shots at full optical zoom) when using the NEX 18-55mm SEL O.S.S. kit lens, but generally I hardly think such issues would be neither here nor there for most people of general point and shoot like requirements whilst using it in such a way. On the mechanical front the auto focusing motor and mechanics within the SEL 18-55 mm OSS lens are virtually almost silent which some of you out there might like. It's certainly much quieter then the 35-135 mm USM lens I have by a long shot. You'll definitely want this lens for shooting hi-definition 1080p/i video in order to harness the relatively fast and vastly more convenient auto focus whilst recording. This is where Sony excel and know exactly whats expected of them. 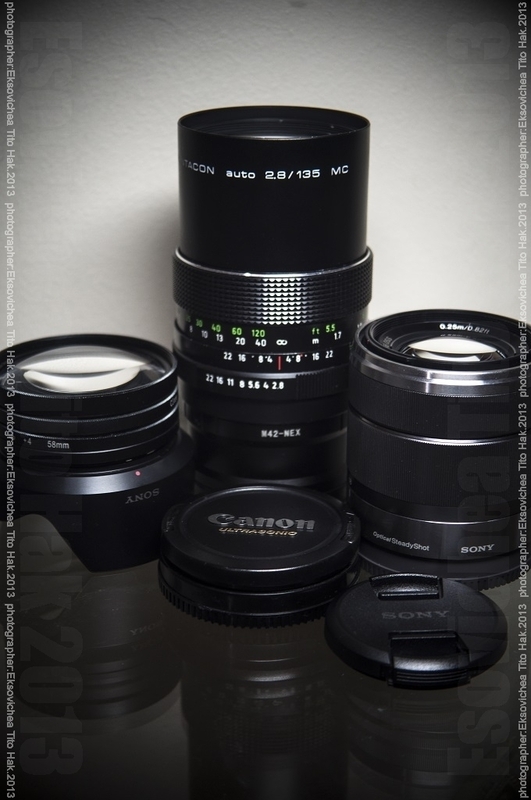 But keep in mind that Sony do in fact make higher spec E-mount lenses specifically for shooting still pictures and moving video with the NEX-C3, NEX-F3, NEX-5N, NEX-6 and NEX-7 alpha camera's. 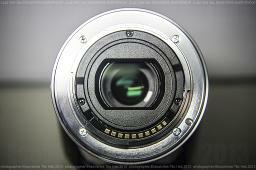 You can find some samples of pictures taken with this lens here.